Rats can be a huge nuisance for homeowners. But did you know that they can also expose you and your family to a wide range of diseases when they work their way into your home? 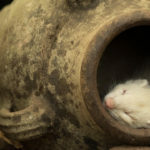 Rats are known to spread diseases like murine typhus, leptospirosis, rat bite fever, trichinosis, Hantavirus pulmonary syndrome, and more. You can be forced to deal with the consequences of these diseases if you come into contact with rat saliva, urine, or feces. With these things in mind, you should seek rat control at the first sign of rats in your home. You should also try using rodent repellents to see if they drive rats away and prevent them from coming back. But whatever you do, you should not ignore a rat infestation. It could lead to rats multiplying in your home in a hurry. Here are the top 5 rodent repellents for the home. One of the most popular rodent repellents out there today is peppermint oil. 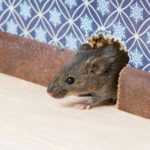 It has become so popular in recent years that there are some pest control companies that are creating special products that contain peppermint oil for those trying to tackle a rodent problem. When you use peppermint oil in your home, you’ll enjoy the way that it makes your house smell. But rats hate the smell of peppermint oil and won’t come around if they can smell it. Therefore, you should strategically place it throughout your home to keep rats away. One way of doing it is by mixing peppermint oil and water and putting it into a spray bottle. You can spray areas that have been affected by rats with the mixture to prevent them from coming back. You can also put several drops of peppermint oil onto cotton balls and put them down in different areas of your home. This will serve the same purpose without forcing you to spray down surfaces in your home with water and peppermint oil. The one thing you’ll want to remember is that you’ll need to be proactive as far as using peppermint oil is concerned. The smell associated with peppermint oil will go away every few days, so you’ll need to be diligent about spraying it in your home and replacing your cotton balls. If you don’t like the smell of peppermint oil or if you find that it doesn’t seem to be working well in your home when it comes to keeping rats away, there’s another type of oil you can try. Eucalyptus oil could be the answer to your prayers. A few years ago, there was a study done on rats that appeared to show that they are not big fans of eucalyptus oil. Mature rats were exposed to eucalyptus oil in different concentrations, and researchers discovered that it served as a suitable rodent repellent. 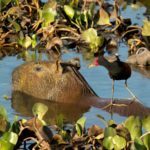 The researchers were quick to point out that there is additional research that needs to be done on the use of eucalyptus oil as a rodent repellent. But if you want to test it out for yourself, you can do it by placing eucalyptus oil in the parts of your home where you’ve noticed rat activity. Just keep in mind that there are many cats that don’t like the smell of eucalyptus oil. It could make it a bad choice if you’re a cat owner. When you bite into a chili pepper, you’ll feel the burn that comes along with eating one almost instantly. There is a ton of heat packed into a single chili pepper. That heat is caused by an active compound called capsaicin in the chili pepper. It’s what makes chili peppers and other types of peppers taste hot. There is some evidence that suggests capsaicin might work well as a rodent repellent. Back in the early 2000s, the New York Cooperative Fish and Wildlife Research Unit at Cornell University ran a series of tests after treating feed on farms with capsaicin. Researchers discovered that capsaicin appeared to keep the rats away. You can sprinkle chili peppers or even just regular black pepper throughout your home to deter rats from sticking around. Think about the way you felt the last time you cut up a bunch of onions in your kitchen. Your eyes likely burned and you may have even struggled to breathe after being exposed to cut onions for just a few minutes. Some rats tend to respond in the same way when they’re exposed to cut onions for even just a short period of time. While rats have no problem eating onions and reaping the rewards that come along with doing it, they don’t like the pungent odors that they produce. Rats are a whole lot smarter than you might think. They’re so smart that studies have shown they’re capable of adjusting their behavior based on what’s going on around them. It’s part of the reason why they’re so hard to get rid of! Over time, many rats have learned that they need to avoid hanging out in places where they could leave themselves exposed to predators. For example, they’ll often go out of their way to steer clear of places where owls might be. You can take advantage of this by obtaining a few feathers from an owl and putting them in the part of your home where rats seem to be congregating. This should scare at least some of the rats off and make them think your home isn’t as safe as they thought. At the end of the day, you can try all the rodent repellents you want. But there’s a decent chance that you’re still going to have at least some rats roaming around in your home, no matter how much peppermint oil or pepper you put down. You’ll need to call on the professionals to help you out with your problem. We can come to your home and find the source of your rat infestation before getting rid of it once and for all with the right rat repellent. Schedule an appointment with us today and make your rat problem a thing of the past.